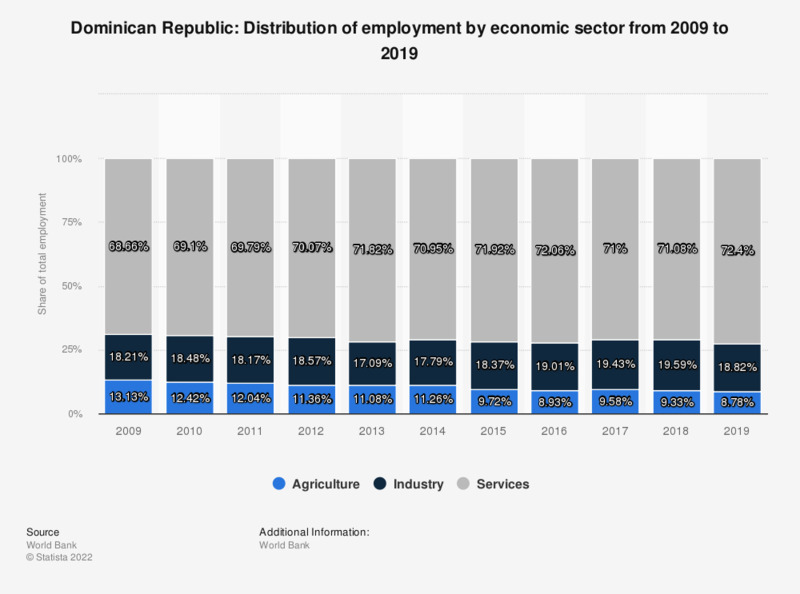 The statistic shows the distribution of employment in the Dominican Republic by economic sector from 2007 to 2017. In 2017, 12.42 percent of the employees in the Dominican Republic were active in the agricultural sector, 17.38 percent in industry and 70.2 percent in the service sector. Which of the following sectors best meet your needs, regardless of the channel used (physical sales points, website, telephone, email, mobile application, etc. )?